Teaching piano to ‘early years’ children (3-4 years’ old) is not a prospect relished by many teachers. Most of them are probably considerably saner than I. Some, by choice, will not take children below a certain age – often 6 or 7. This may be a personal preference in that they would rather not work with children that young, or they may believe that children should not start the piano before such an age. I believe, however, that starting the piano before the age of 5 is not only a great time to start music education, but also helps enormously with a child’s development in many other areas, academic and otherwise. When I started teaching piano professionally it felt natural to specialise in early years’ children. There are a number of reasons for this. I myself started the piano at the age of 3, and formal lessons at the age of 4. My father, a talented amateur pianist, had me sitting on the piano stool as soon as I was able to sit up so progressing to play a few rudimentary notes and tunes came naturally to me, and I learnt to read music alongside learning to read. In fact, I do not remember a time when I could not read music – just like many of us cannot remember ever not being able to read. Further, I had been working with my young niece and children of friends on an informal basis. Through a process of trial and error, I began to see how it was readily possible to incorporate games and fun into the introduction of some basic piano skills. 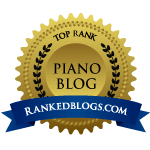 But it was when I first read about about the Kodaly-inspired ‘Dogs and Birds’ method and went on to study it that I fully came to appreciate the benefit of learning the piano at this young age. The Dogs and Birds method was developed by Elza Lusher, a classically trained pianist who grew up in Hungary and was educated at the Liszt Academy. As a native Hungarian, her own musical education was based firmly on Kodaly’s principles which prioritise the training of the ‘inner ear’ from a very early age using familiar songs and the principles of solfège. On starting to teach piano in the UK over twenty years ago, she found that beginning piano students did not have the same musical groundwork in terms of pitch and pulse recognition with which she had been familiar in her native Hungary. She therefore set about developing her own piano teaching method that incorporated the Kodaly principles and from this starting point the Dogs and Birds approach was born. How can you teach children to read music if they can’t read yet? The Dogs and Birds approach does not require the child to be able to read, or even to count (although, in my experience, most 3 and 4 year olds who come to piano lessons are able to count). Due to the use of animal names for each of the notes (dog, bird, cat, etc) – together with the lovely illustrations – young children are able to ‘read’ notes on the grand stave from a very early stage in their education. This reading is reinforced by wonderful games using the animal tiles as notes and a large grand stave where the child has to place the tiles on the part of the stave where the animals ‘live’. It is a small step from these activities to be able to read and write musical notation. These games are also excellent ways to develop the inner ear – the monosyllabic animal names are used in a similar way to the more traditional solfège ‘do re mi’ and progression to this is fairly natural when the child is ready. I would turn this concern around and say that learning musical concepts at a young age actually helps in the development of other skills. It is commonly accepted that the best time to learn any language is during pre-school years and music has much in common with language learning – particularly rhythm, pitch and notation. Further, a recent study showed that young pupils who had received 8 months of music training scored significantly better on reading ability than the control group who had not received such training. And there are obvious parallels between rhythmic concepts and basic maths which help to reinforce the counting and addition that young children are beginning to grasp. Finally, the very process of attending regular, structured lessons and having to practise (even if for only 5 minutes a day) is great training for the school years with its demands of timetables and homework. Are young children physically able to play the piano? Another common concern about starting young children on the piano is in respect of the physical demands of piano playing, and the ability of a young child to learn good technique in terms of hand positions, wrist and arm movement. Whilst it is vital that good technique is taught from the outset, I have found that young children vary enormously in their development (particularly in respect of motor skills in the fingers) and therefore there is not a ‘one size fits all’ approach. For example, some of my four-year-olds find playing with their thumbs very easy whilst I have five year olds who are only beginning to feel comfortable using their thumbs. And most three year olds will only be comfortable using their second, and perhaps, third fingers to begin with. Even if the very young child is limited in finger range at the beginning, I find that they rapidly progress. By the time they are ready to use all fingers of the hand they have already developed a good knowledge of the keyboard geography, an ability to read music notation (with help from the dogs and birds characters), a sense of pitch through the focus on singing and an awareness of pulse and rhythmic values from the many rhythm games that are used. This puts them far ahead of other children of the same age who may only just be starting out! However, whatever fingers they are able to use at the outset, it is important to establish good principles around posture, arm weight and relaxation to avoid poor technique later on. This can be done through many exercises involving ‘banging’ (for want of a better word) the keyboard as part of the rhythm exercises. As well as using this activity for pulse and rhythm development, such exercises can be used to develop a good sense of arm weight, flexible movement and good overall posture. There are wonderful metaphors, rhymes and songs which I use to help with this. My favourite is courtesy of my own teacher, the inimitable Graham Fitch, who says that the arm should be like an elephant’s trunk – flexible, yet strong. I have had great fun with my 3 and 4 year-olds doing impressions of elephants playing the piano! The ‘My First Piano Adventures’ series (Faber) also contains some wonderful songs and rhymes to help establish good technique right from the outset. Can a 3-year old really concentrate on a piano lesson for 30 minutes? Often when I tell parents that my piano lessons for 3-4 year olds are 30 minutes long they look at me as if I am somewhat unhinged – surely children that young can’t concentrate for that long? I understand their reaction. And if the lessons were all about sitting on a piano stool for 30 minutes, thumbs over middle C (as many of us may remember from our own early lessons), then they would be absolutely right. The ‘Dogs and Birds’ method is different. No activity lasts longer than 10 minutes – many are only 5. So that is 4-6 different activities covered in one 30 minute lesson. One of the most popular activities is ‘composing’ their own piece – using the notes that they have learnt and the large grand stave. Placing the animal tiles correctly on the stave, singing the pitches and deciding what comes next is a truly creative activity that the children love. Basic ‘question and answer’ approaches can be taught after a while. And this activity typically ends in a ‘performance’ of their composition to mum or dad – properly introduced by the child: “This is the world premiere performance of ‘Goosy Boosy’ – written and performed by Anna Johnson”. Isn’t it absolutely exhausting to teach piano to 3 and 4 year-olds? Yes. Of course, I am not suggesting that all teachers should be taking on such young children as it is a very particular area of focus. Unless you are lucky enough to teach a Mozart or a Lang-Lang, the repertoire for this age is pretty limited! Further, there are some children of this age who are not ready for piano lessons. In my experience most children from four onwards will be ready and many who are three will be also. My youngest pupil is just three and a half and has only just began to play ‘dog’ and ‘bird’ independently with separate hands in a structured order. However, in the past two months of lessons we have had fun with rhythm games, improvisation at the piano (invariably involving fairy princesses) and lots and lots of singing. But for the right child and with the right teaching approach, piano lessons for early years is tremendously fun and rewarding for both pupil and teacher. To watch – over the space of a few short weeks – a fidgety young child developing the ability to play a few simple pieces on the piano, read musical notation, recognise pitch and show an awareness of basic rhythmic concepts is truly fascinating. And to then see these young children turn into confident young people with a sound grounding in musicianship and piano playing – for me, this really is one of the best ways to spend my days. Rebecca has a piano teaching practice in Teddington. As well as specialising in early years’ teaching, she also enjoys teaching beginners of all ages, including adults. Next postAre you practising enough?